Vance Gilbert will perform at the Lost Moth Gallery on April 13. Submitted photo. Vance Gilbert will perform at Lost Moth Gallery on April 13. 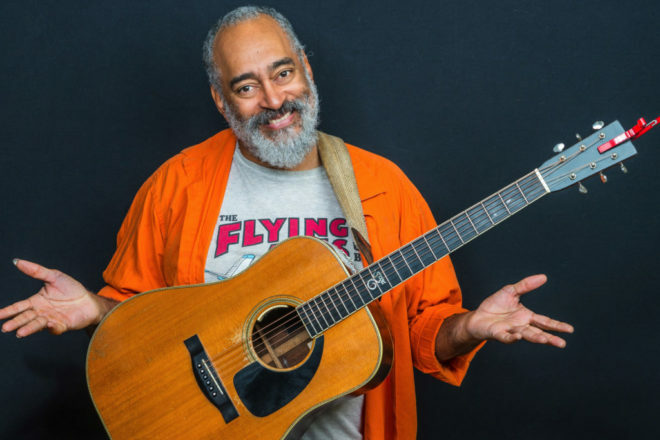 This iconic performer burst onto the singer/songwriter scene in the early ’90s when buzz started spreading in Boston folk clubs about a former multicultural-arts teacher who was knocking ’em dead at open mics. Gilbert started out hoping to be a jazz singer, and then discovered his affinity for the storytelling sensibilities of acoustic folk music. Once word got out about his performances, Shawn Colvin invited him to be a special guest on her Fat City Tour. Gilbert has recorded 12 albums, including four for Philo/Rounder Records and a duo album with his friend Ellis Paul. He has opened for Aretha Franklin, Arlo Guthrie and Anita Baker, and he’s opened 140 shows for comedian George Carlin. The doors will open at 6:30 pm, and the show will start at 7 pm. Tickets are $20 per person. Coffee, tea and treats will be available. Seating at Lost Moth Gallery, 7975 Hwy 42 in Egg Harbor, is limited, so reservations are encouraged. Call 920.495.2928 to reserve your spot.